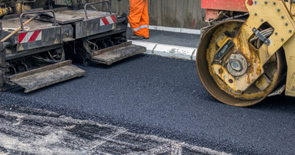 The Parking Lot Guys is an experienced maintenance company located in the state of Kansas. Our area of service is extensive. We have been providing our customers with quality, professional service since 2011. 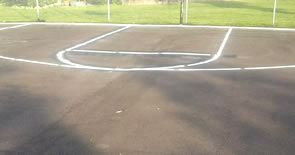 Every job receives the same attention to detail, for a good first impression of your parking lot. That through our work, you, the customer, saves on maintenance costs. We start by providing our customers with an assessment of their needs. For details on creating a positive first impression, see our services. Then contact us at 785-341-3151 (Manhattan) or 785-233-3474 (Topeka) for a free estimate of your parking lot maintenance needs. The Parking Lot Guys is a specialty contractor dedicated to developing permanent relationships with our customers. 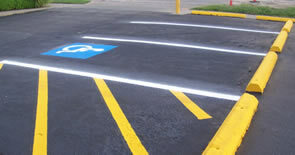 Our specialty is that of Pavement Marking and maintenance of parking areas. We offer several services for our clients and have experience in new construction as well as remodels throughout the state of Kansas. The Parking Lot Guys is qualified and dedicated to meet your needs before during and after our project with you is completed. We believe that our service and performance is unparalleled in Kansas.